Ready for five truly frightening Halloween horror novels? With Halloween just a few short weeks away, now is a great time to stock up on new scares. I could recommend a frightening novel by Stephen King, Jack Ketchum, or Dean Koontz, but my guess is that you would have already read all of my recommendations. Instead, let’s take the road less traveled: the dark, creepy path past the abandoned house with the broken out windows. Here are five of my favorite under the radar horror novels. Give them a read. You just might find your new favorite author from this list. Fresh off a messy divorce, Katy Logan and troubled daughter, Jett, move to the Appalachian town of Solom to live with Katy’s new boyfriend, Gordon. But all is not what it seems. 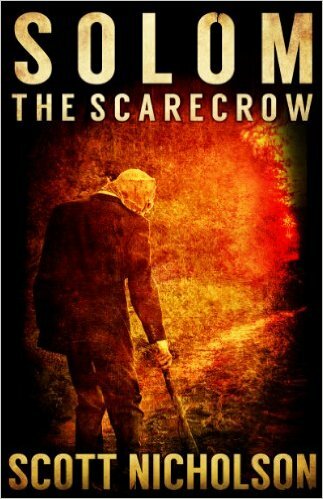 Part ghost story, part supernatural thriller, with slasher and classic horror overtones, Solom: The Scarecrow is one of Scott Nicholson’s finest and creepiest works. If you love Stephen King, this novel should be high on your purchase list. If you haven’t heard of Bram Stoker Award winner Kealan Patrick Burke, it’s time you met him. The Turtle Boy is scary, mesmerizing, and full of wonder, evoking emotions similar to those raised in Stephen King’s The Body and Mark Twain’s Tom Sawyer. High praise, and well deserved. 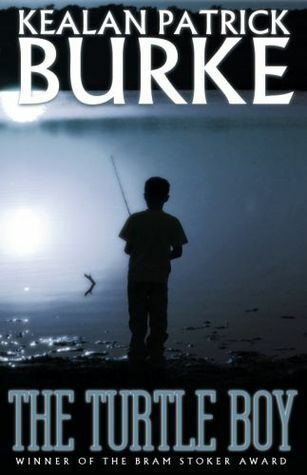 The Turtle Boy ranks as one of the most thoughtful, creative horror novels I’ve ever read. And right now, you can read it for free on Kindle. How many of you are fans of classic slasher movies like Friday the 13th and proto-slashers such as Texas Chainsaw Massacre? 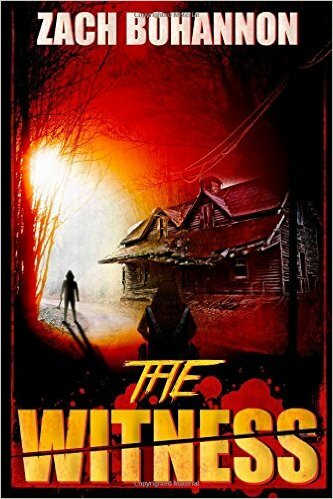 Zach Bohannon’s homage to the slasher horror sub-genre, The Witness, is a brutal, gory, and often frightening entry into his already impressive catalog of titles. When Rebecca and a group of students traveling to a rock concert get stranded, they receive assistance from a dangerous individual. Tied to a wheelchair in the darkness, Rebecca fights to survive against a terrifying killer. I admit that I feel like I am cheating with this recommendation. This isn’t one book, it’s eight Halloween horror novels. From Darkness Comes is one of the best deals you’ll ever come across, with enough reading material to get you through the next several months. And as of this article, From Darkness Comes is on-sale for the slightly ridiculous price of 99 cents. 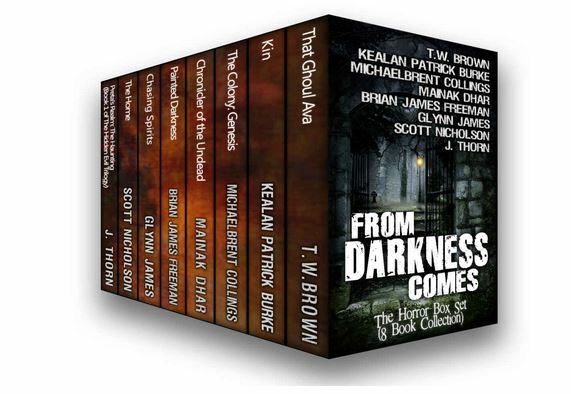 You get eight full novels from Kealan Patrick Burke, J Thorn, Scott Nicholson, Michaelbrent Collings, T.W. Brown, Mainak Dhar, Brian James Patterson, and Glynn James. Those are some heavy hitters! Kin by Kealan Patrick Burke is worth the price of admission on its own. Be prepared for many sleepless nights! Drew is visited by the ghost of his grandfather as two of his co-workers are murdered. What follows for Drew is a downward spiral into psychosis, reminiscent of Stephen King’s The Shining, but with a twist. What I like most about J Thorn is his ability to cross genres, merging dark fantasy and horror elements into a seamless story. 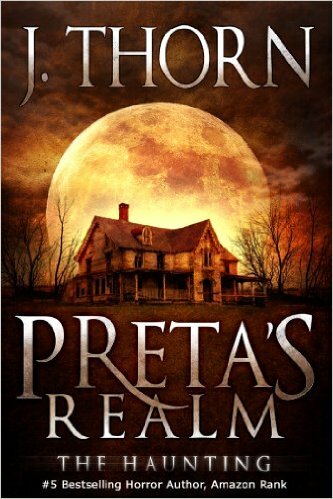 Preta’s Realm is the first entry in The Hidden Evil series. Once you read it, I’m confident you’ll devour the entire series, down to the final gory morsels. How’s that for a starting point for Halloween horror novels? If you want even more scares, The Face of Midnight is a slick dark horror story set on Halloween night. I strongly recommend everything by Kealan Patrick Burke. Kealan won a Bram Stoker award, and he also designed all four covers of the Dark Vanishings series.